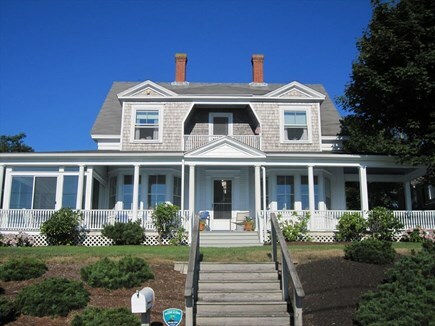 This large, wonderful, antique Sea Captain’s home, built in 1890, is located on Wychmere Harbor in Harwich Port. 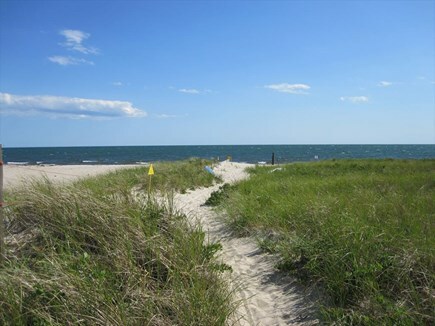 Merkel Beach on Nantucket Sound is at the end of Snow Inn Road just 2/10 mile from the home. 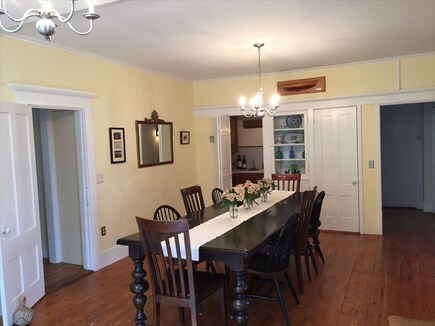 The turn-of-the-century Captains Home offers a large porch with views of the Harbor with wonderful Adirondack chairs. There are great open-air and screened in porches and 6 bedrooms and 4 baths. The first floor includes a twin (2) bedroom, 1 bath with shower, and a second bath with tub/shower. The second floor has 3 queen bedrooms, 1 twin bedroom (2), and 1 bedroom with 2 sets of bunk beds and a bath with shower, sleeping 14 total. 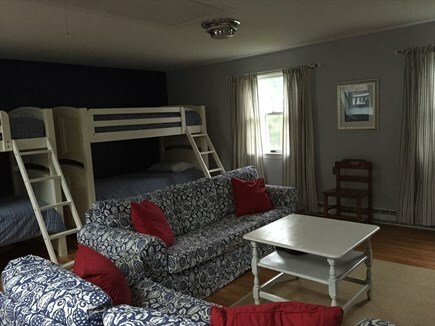 There is a flat screen TV in the Family room with Blue Ray DVD and traditional TV in the Bunk room with DVD. Other amenities include a dishwasher, washer/dryer, Internet, expanded cable with NESN, a BBQ grill, and a great outdoor shower. Main Street Harwich Port shops, bars, restaurants, galleries and ice cream parlors are a short walk away. Off-season and long weekend shoulder season rates available. No pets allowed. Additional pricing info: $275 cleaning fee;$110 contract fee; $1000 damage deposit, State and local taxes of 12.45% will apply. 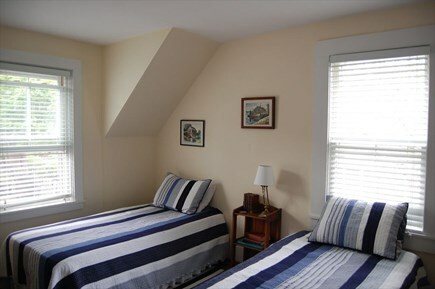 Beach Lodge is everything you want for your Cape Cod experience - lovely waterfront view, historic house, and beach only a short walk away. We thoroughly enjoyed our stay in this beautiful home. It's so big with many places to relax and enjoy -- especially the screened-in porch! The kitchen had everything we needed for cooking some great meals to share with our friends. And our room was so so beautiful!! Lots of shops and restaurants close by too. Beach Lodge, simply wonderful 5-star waterfront vacation home! 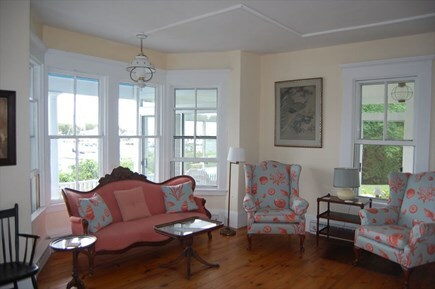 Beach Lodge is the quintessential Cape Cod turn-of-the-century home which directly overlooks Harwichport Harbor. Lovingly restored and beautifully furnished, it is the perfect relaxing family getaway! 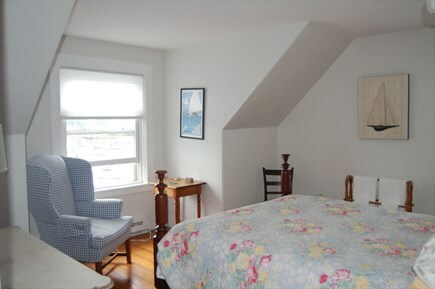 Very comfortable ambiance which immediately charms with its expansive harbor views. 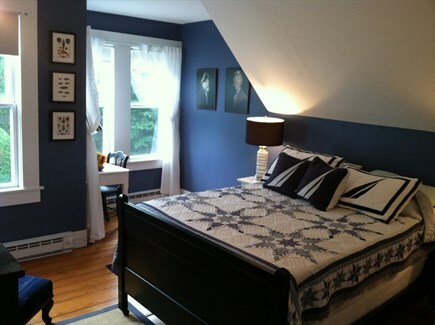 All bedrooms are airy, soothing retreats with either water or lovely garden views. 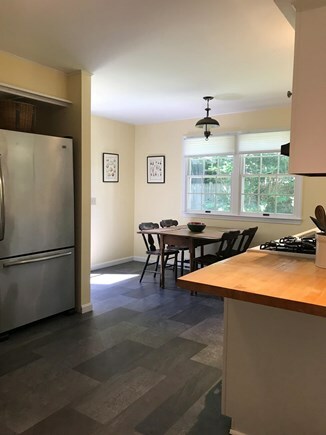 There are many gathering spaces in the home, with a modern, efficient kitchen and large adjoining dining room, two separate family rooms, an open-windowed living room off the front porch and an adjacent study. The large wrap-around porch has a screened-in sitting room as well as a comfortable seating in the open-air porch. Meals at the large outdoor table are enjoyed watching the osprey nesting in the harbor while the sailboats float by. Outdoor grilling of fresh seafood from the local markets are a must! The grounds are beautifully landscaped, providing private screening from the drive below. An outdoor shower is so convenient since the beachfront is just a short 2-block walk from the home. 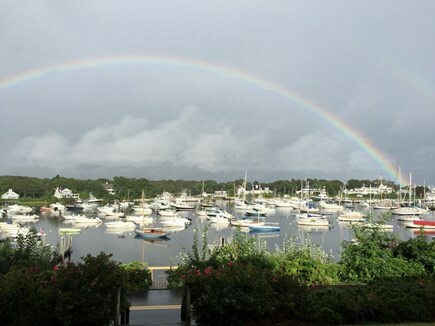 My family enjoyed a wonderful week in Harwich Port, and this property is so memorable. 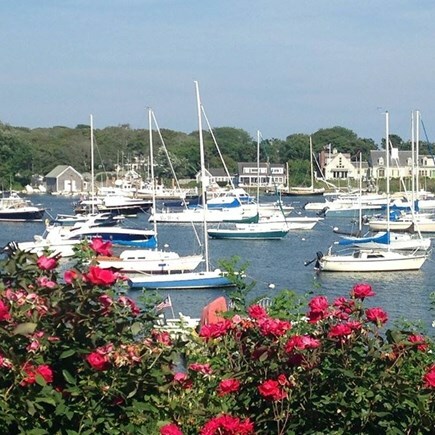 The location is simply stunning, with endless things to look at on the harbor. We even saw a few seals swimming by the dock. 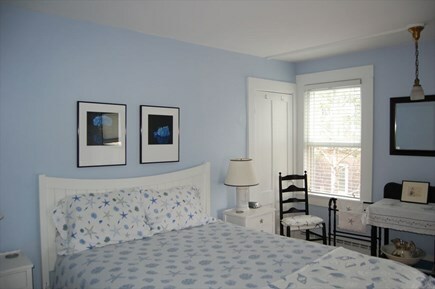 The home and grounds are also lovely, with each room being decorated in the true Cape style. 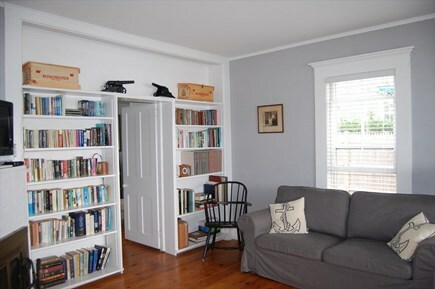 Lots of antiques and period pieces, while plenty of modern-day conveniences to make sure we were comfortable (the young people in our party loved accessing the Wi-Fi from the screened porch, front deck or lounging in the lawn). We are a family that loves to cook, so we took full advantage of the well-appointed kitchen and the large Weber gas grill (I think we used it every night!). We were also fortunate enough to experience peak-bloom for the deep purple and blue hydrangeas which wrap the front porch. My mother in law also admired the many rose bushes in the front yard, which were full of flowers.